The quality of our commercial grade aluminium products are hard to match. 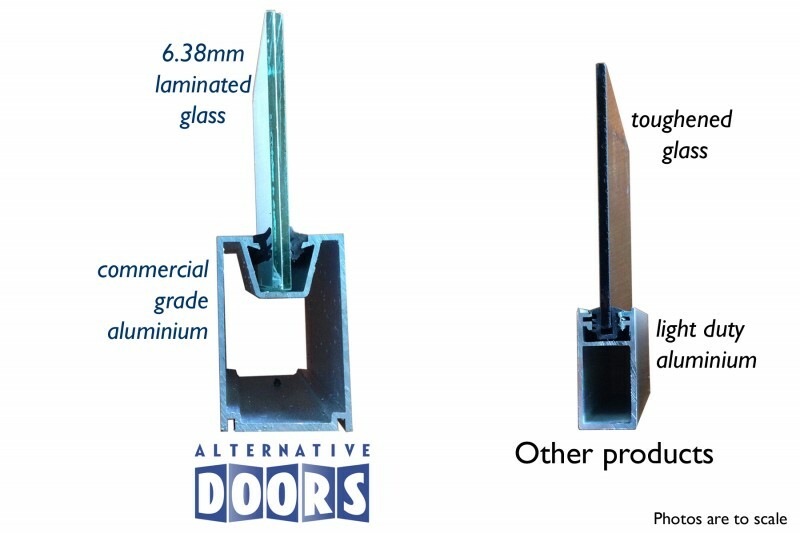 The below comparison demonstrates how our superior product quality offers greater durability and strength compared to other products. We only use top quality door hardware from leading suppliers for all of our custom made aluminium and timber door installations. Lockwood door furniture is used for all of our custom made sliding and stacker doors. We supply quality door handles and hardware for french, entrance and various other doors. We use clear, single glazed glass as the standard for all of our door and window installations, however if it’s double glazed or tinted glass that you prefer, we can provide whatever glass you need.